are rich in information and millionaires in expectations. " A renaissance man of culture, a remarkable thinker and an extraordinary speaker. He decided early in life not to be a public person: he has given no interviews, nor gone to the radio nor television, does not write articles or books, nor has a webpage or belong to any social network. To know what Konzevik thinks, you must hear him in persons. 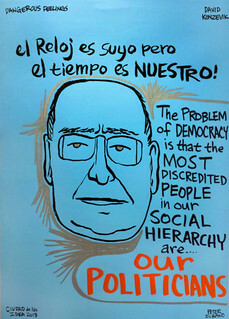 In 2000, he predicted in his "Theory of Expectations Revolution", uprisings and rebellions of the digital age, taking place in different parts of the world, democracies and dictatorships.